Ondu muttina kate is one of my writing about the Kiss. the first stanza about the kiss in act or before. 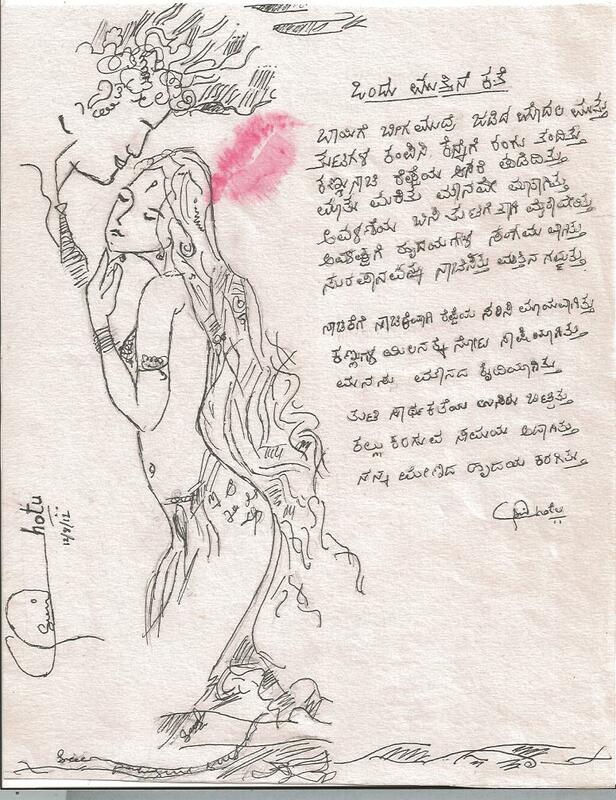 second stanza is about situation after the Kiss.. the sketch is also drawn by me.